Breath taking views can be seen from your car, bicycle, kayak, canoe, motorcycle, and by foot. You choose your mode of transportation, and you’ll experience unforgettable scenic views in every direction.  Celebrating the heritage of the area with a car show, lumber events, crafts, food, music - just 15 minutes east of Cadillac where you will enjoy a small town festival with friendly and lively residents. Join us for our 7th annual Color Tour Craft Show! Our annual show will have vendors from all across northern Michigan along with kids games, food and other fun activities - and check out Lattitude 44. Fall Color Train ride from Mt Pleasant to Cadillac. This will be the 6th fall color tour train ride program being offered. The excursion is an antique Diesel Engine pulling antique passenger vessel arriving in Cadillac around noon. Country side tours are available to get on in Cadillac around 1pm for a 2 hour ride into the countryside, returning around 3pm. Passengers from Mt Pleasant will board around 4pm to return home. Go to www.michigansteamtrain.com or call 989-725-9464 for tickets and details. An unbelievable experience and views you don't get from the road.